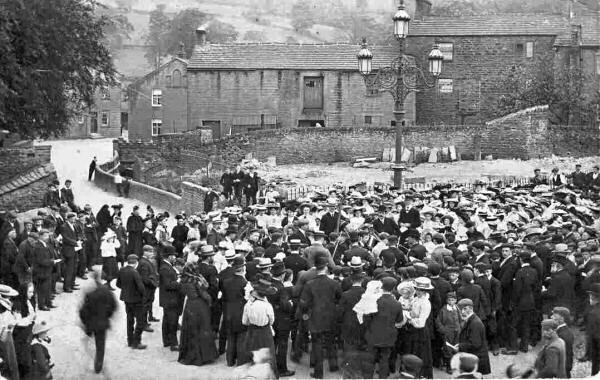 With many thanks to Cowlingweb for providing scans of these old photographs. The demolition of the row at Towngate. Behind you can see Harper Square with its houses, stable and warehouse. This whole triangle of land was owned by Joe and Alice Morrell. 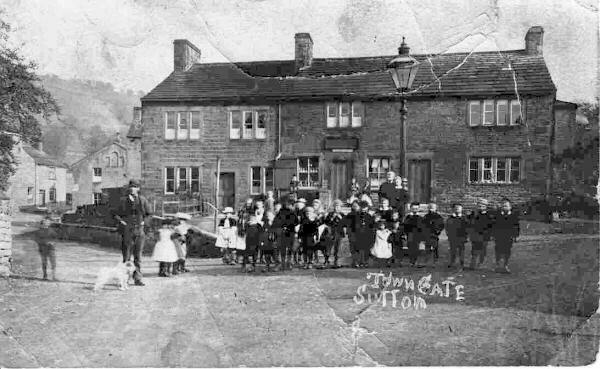 Towngate 1931 showing the house built on the land previously occupied by the row of shops. Joe Morrell, with eldest son Fred Morrell, and son Tom Morrell. The 4th man is unknown. 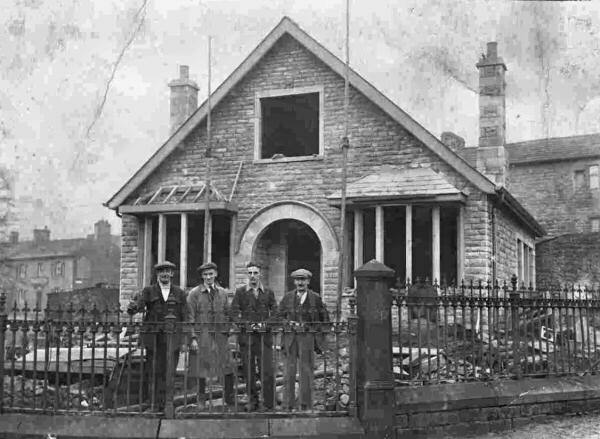 Joe Morrell and his sons built Towngate. to make two mews houses where there had been the warehouse and stable. 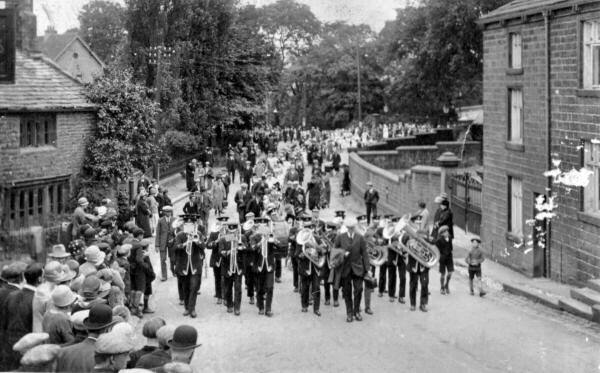 Cowling Band marching up the High Street at Sutton Gala, date unknown. 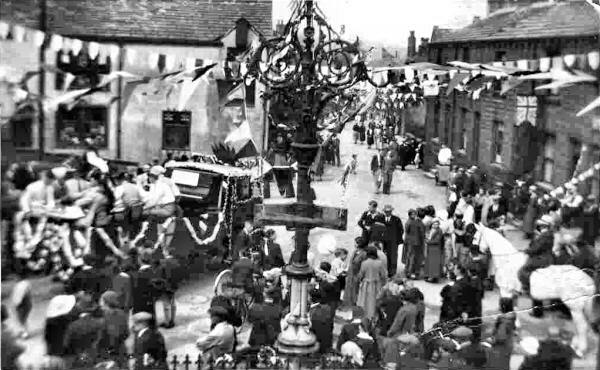 Coronation Day on Sutton High Street.